I just had to give this brand new challenge a go (they have run a regular sketch challenge for some time), but this CAS challenge is new to them. This card was an organic affair, I started off with no idea as to what I was going to do (story of my life), so, I made my watercolour piece first, I just used some cheap watercolour paints, and let that dry. 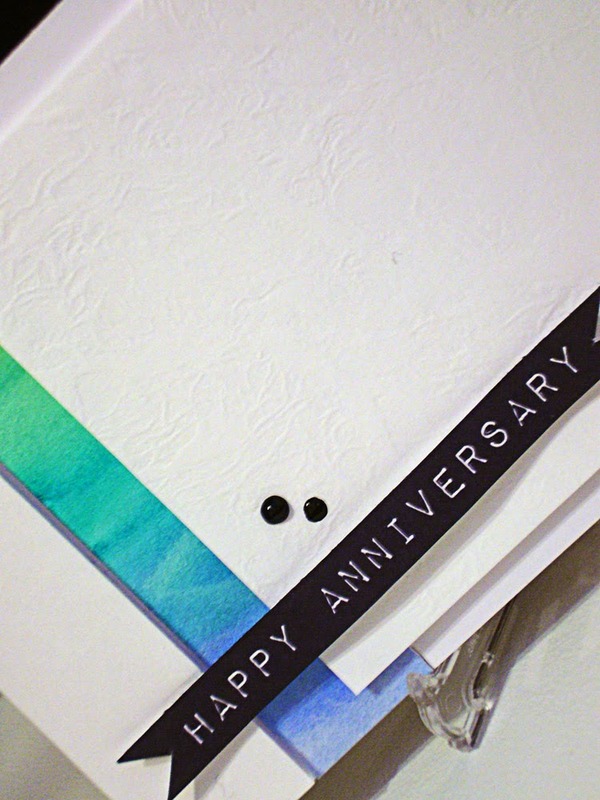 Next, I cut a strip out the height of the card and also cut two panels of textured white cardstock. I then stuck the watercoloured strip straight down on to my card base and mounted the two textured panels on to some thin, foam tape, as I wanted a bit of height to emphasize the watercolour strip. I finished it off with a black banner greeting and three little enamel accent dots, by Ranger. Thanks for taking the time to visit today and I appreciate all your comments and will reciprocate. 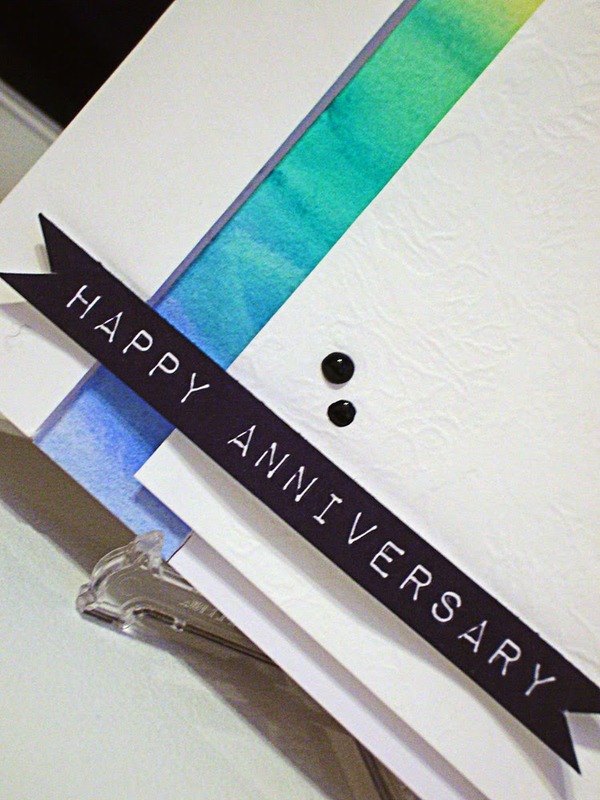 That is such a pretty watercoloured strip and your overall card is LUSH! Are you on the HLS forum too? CAS perfection, your watercolour panel is brilliant! This is so well done Hazel, not the easiest task to do, beautiful. Hazel, thanks for your comment ... I believe I recently changed my settings so people could contact me so not sure what went awry there - sorry! Hi Hazel. Wow! That watercoloured strip is so pretty and I love the layout and design you've used to highlight it. Perfect with all that gorgeous white space and the added texture. 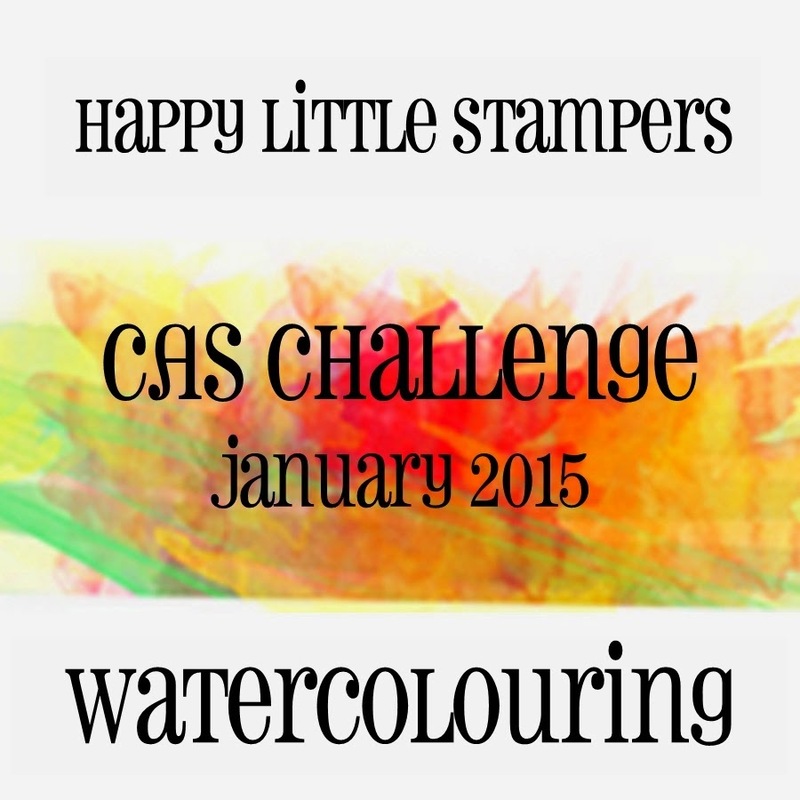 Thanks so much for playing along with us at Happy Little Stampers CAS Challenge! So love that watercolored strip peeking out behind all the white! Such a fabulous design, Hazel! Love all the white space with that beautiful watercoloring peeking out! Cool layers and textures, Hazel! Love the black dots! 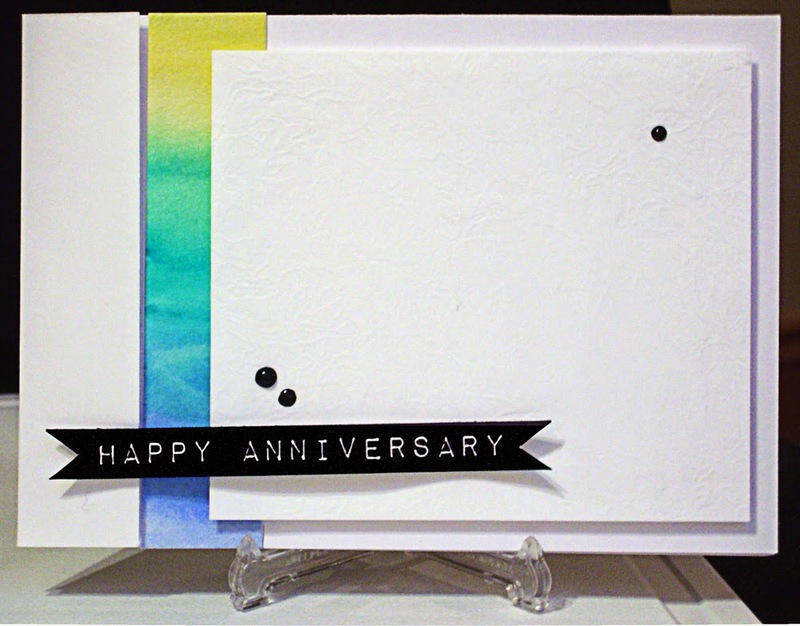 fantasic cas card, stylish look with the watercolor stripe and the black dots! Wowzer, Hazel! What a unique & gorgeous card! You've inspired me to make some watercolor backgrounds & see what I can make with them! Oh my, this is so stunning! I absolutely love this!